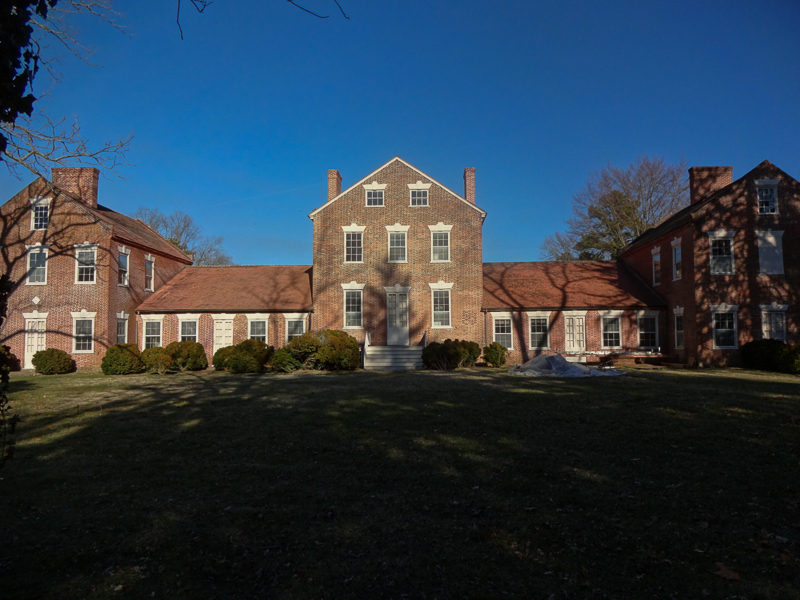 Of all the fabulous mansions and plantations, gorgeous architecture and historically intact buildings located on the Eastern Shore, there is nothing like Teackle Mansion that is open to the public. Teackle Mansion is a Neo-classical, 10,000 square foot home that resembles a Scottish Manor house built by Littleton Dennis Teackle. 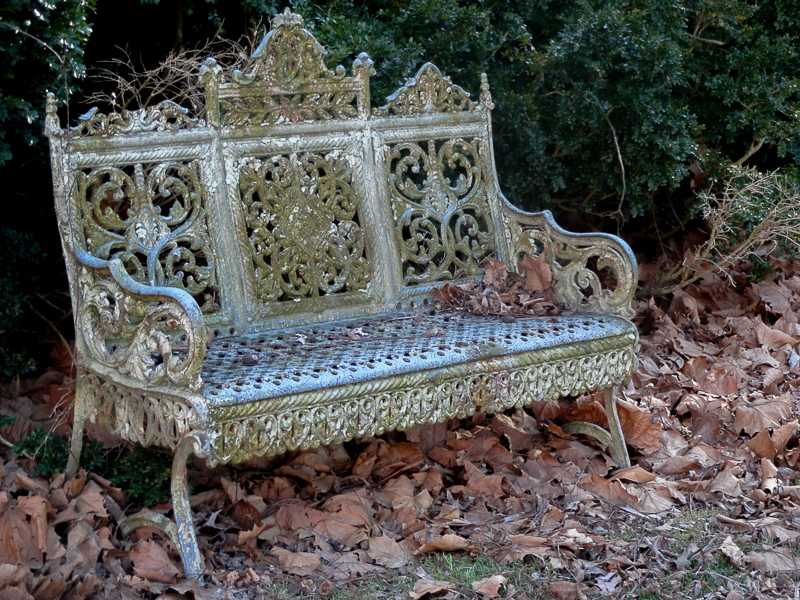 It sits in the heart of historic Princess Anne, one block from the Somerset County Courthouse.
. The mansion was the setting for George Alfred Townsend’s book The Entailed Hat first published in 1884. In 1802 a lumber dealer named Littleton Dennis Teackle began building his dream home on 9 acres of land bordering the Manokin River. He didn’t complete it until 1819 and during those years he nearly lost the property twice. He built the house close to river with a grassy front lawn. A private lane going out perpendicular to his front door stretched what is now a city block and ended at iron gate manned by servant in a gatehouse who allowed access. This layout magnified the grandeur of this amazing mansion. Teackle had visited Scotland a few years before he started building the house and mentioned his fascination with the style of the new manor houses that were replacing the castles that had been built by the aristocracy. Mr. Teackle was gone on business more than he was home at Teackle Mansion. His wife, Elizabeth Upshur Teackle was the one who really designed the house and gave it a sense of home. It was to have all the most modern conveniences including a large bed chamber with dressing rooms and “full body bathing.” Elizabeth ran the property and all of its operations which included large gardens, several outbuildings including a gatehouse, and a full staff of servants. According to letters sent to her sister, Elizabeth was part of the design of the home and it was the house of her dreams. She loved it, even though it was hard work to keep it up. The Teackles had only one child – a daughter – who lived long enough to reach adulthood. The interior of the house has been restored to look much like it did in the early nineteenth century right down to the furniture and the paint colors. 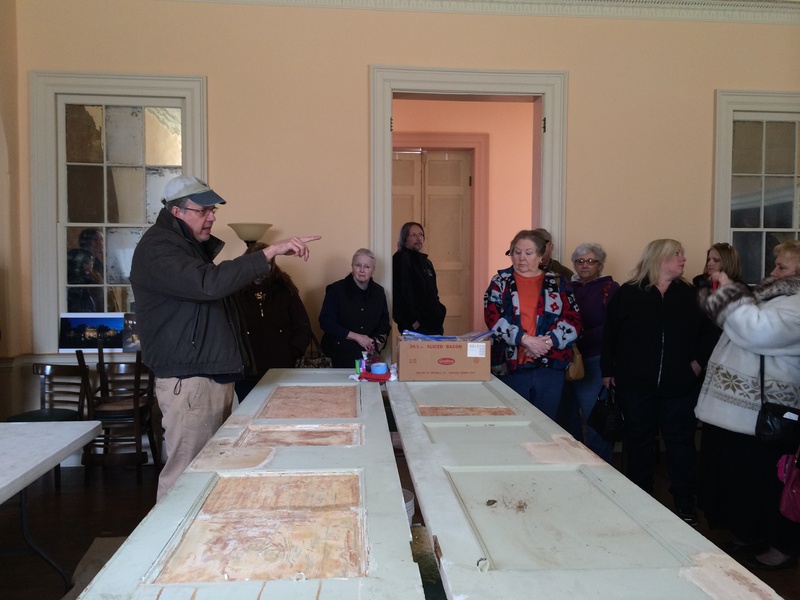 The molded plaster, handcarved woodwork, Flemish bond brick and large kitchen are some of the attributes of Teackle Mansion that visitor’s love and remember. But a simple walking of the grounds – even when the Mansion isn’t open to the public – is a relaxing way to spend an hour or two. The property was very expensive to maintain, and Littleton Dennis Teackle finally lost it when his business failed in 1828. This devastated Elizabeth and she had to go live with her daughter. She died just four years later. 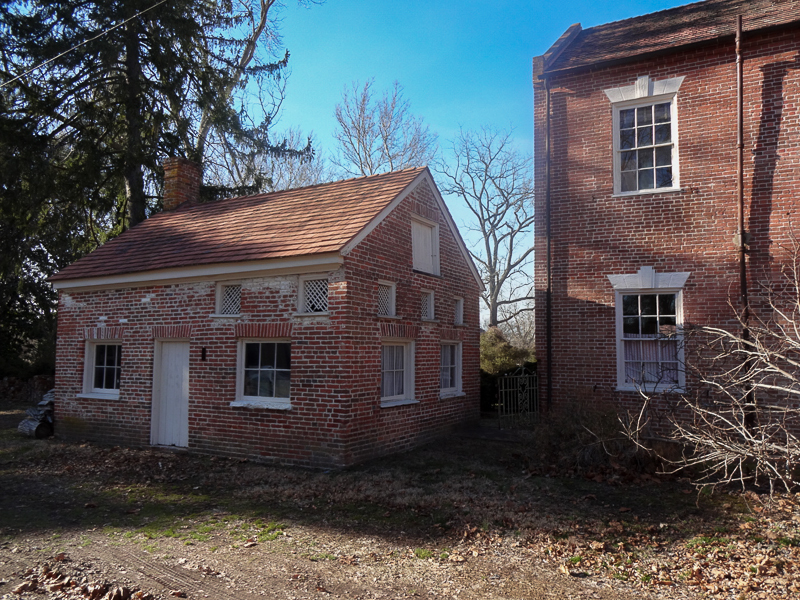 Mr. Teackle was able to get the property back for a short time through the assistance of his son in law, but he lived in the house again and died in Baltimore shortly after the acquisition. His estate paid to have his remains returned to Princess Anne to be buried next to his dear wife. After those expenses the value of his entire estate was less than $20. After the Teackles left Teackle Mansion for the last time, it was never again a family home. It has been empty, leased and at one time was converted to apartments. Now it is a museum and a tribute to their memory. There are stories of haunting at Teackle Mansion. Neighbors have remarked that they sometimes see what looks like a candle flame moving past a second floor window. Others have seen what looks like the silhouette of a woman standing at the window. The security alarm goes off for no reason and when police respond (they are one block away) there is no sign of a disturbance. Paranormal investigators also reported that there were drops in temperature in certain parts of the house, that investigators felt the presence of a spirit and that all of their camera batteries drained in the section of the house where the cold spots were felt. 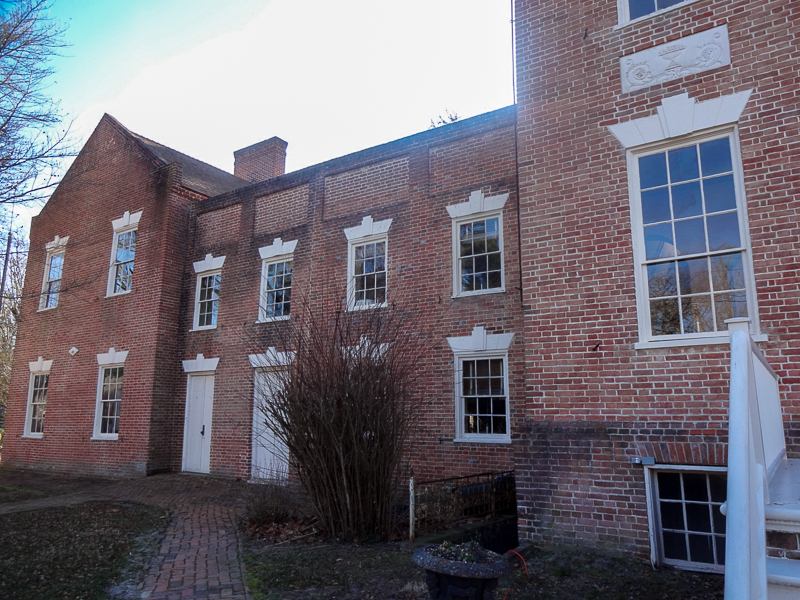 Teackle Mansion is the star of the Princess Anne Ghost Walk offered by Chesapeake Ghost Walks. The tour begins and ends at Teackle. HOURS: April-December: Thurs., Sat., Sun. 1pm to 3pm with last tour starting at 2:30 pm. ADMISSION: Adults $5, Students $2, children under 12 FREE. Every year millions of people cross a bridge to travel to the Atlantic Beaches on Delmarva. It may be the Chesapeake Bay Bridge, Chesapeake Bay Bridge Tunnel or a bridge over the Delaware Canal. They may be headed to Ocean City, Chincoteague, Rehoboth, Bethany, Dewey or Assateague, but most don’t know about the fabulous sites and attractions they are passing by. This 100 Things to Do Between the Bridge and the Beach series shows fun things to do on your way there and back, encouraging visitors to pull off the highway, take a day trip, and widen your vacation scope of activities – or make the Eastern Shore a destination when you’re not headed for the beach.